At Roland's Joinery we offer a wide selection of styles, materials and finishes. From our initial consultation to the final installation, we are dedicated to making your dreams a reality. 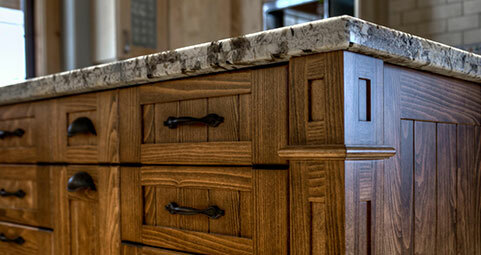 Quality cabinets are the heart of every great kitchen and bathroom. We will work with you to transform the most important rooms in your house. Ask us about custom granite countertops. Built with the same attention to detail as our kitchens, our wet bars and family room built-ins can be customized to reflect your unique style. Turn your staircase into a showcase with the refined beauty of custom woodwork. Roland's Joinery is a proud distributor and installer of Wideplank Hardwood Floors. Cabinetry, front counters, display cases and more. Built to meet the needs of your growing business.